The telescope consists of two tubes, one sliding inside the other to focus the mirrors. The tubes are made from layers of paper or cardboard and the upper tube is covered with a layer of decorative vellum. There are two eyepiece holes, one of which is blocked with cork. The inside of the tubes have been painted black and the secondary mirror is positioned inside. 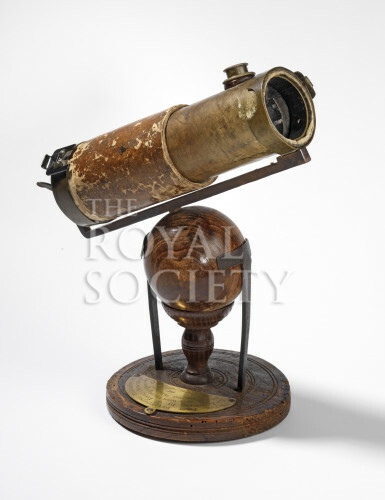 Isaac Newton built his first reflecting telescope in 1668; this is his second model.